A new Raspberry Pi powered virtual reality system has been created to enable jurors to be able to explore crime scenes as they actually were and has been designed by PhD researcher in forensic science and criminal investigations, Mehzeb Chowdhury. 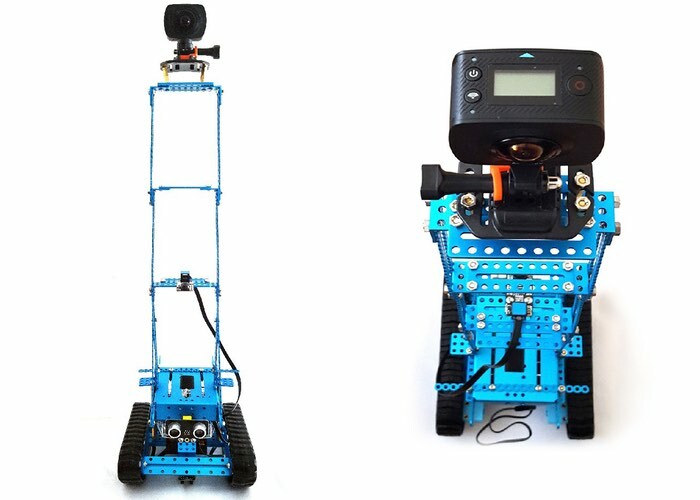 The MABMAT robotic imaging system Is capable of recording 360 degree high definition video using a NASA inspired Rover unit which is capable of autonomously roaming a crime scene at the time and capturing even the smallest details from it. The problem with today’s crime scene reconstruction practices is that [they] usually involve still photography, hand-drawn sketches and — in rare cases — videography. Experts will bring 3D-rendered crime scene animations, which are later created and rendered using a combination of the still images and sketches, to court. This is an approximation of reality, not reality itself. Juries are bamboozled by conflicting crime scene recreations, as each side presents its own version of the crime scene, and where the evidence was found. If we had gone for the traditional means of VR-content creation, such as 3D scanning a crime scene, texturing it, and then using a gaming engine to render the world, it would lead to impediment in accessibility for our intended users. Today’s VR-ready computers require massive amounts of processing power, expensive graphics cards, and headsets with eye-movement and head-tracking capabilities. Unlike 3D recreations, [my system] would be true representations of how things were, rather than a user-created propaganda video to sway the jury. The most-problematic aspect of crime scene visits is that, with time, every characteristic of the scene changes in some way or the other. This is called scene degradation. Years could pass between a crime being committed, and a jury scene visit, with very little remaining the same. A contemporaneous snapshot of the entire crime scene would preserve the necessary details for investigation and trial. Chowdhury now plans to work with police departments within the UK and US and already has over 50 police departments on board to develop the virtual reality system even further.